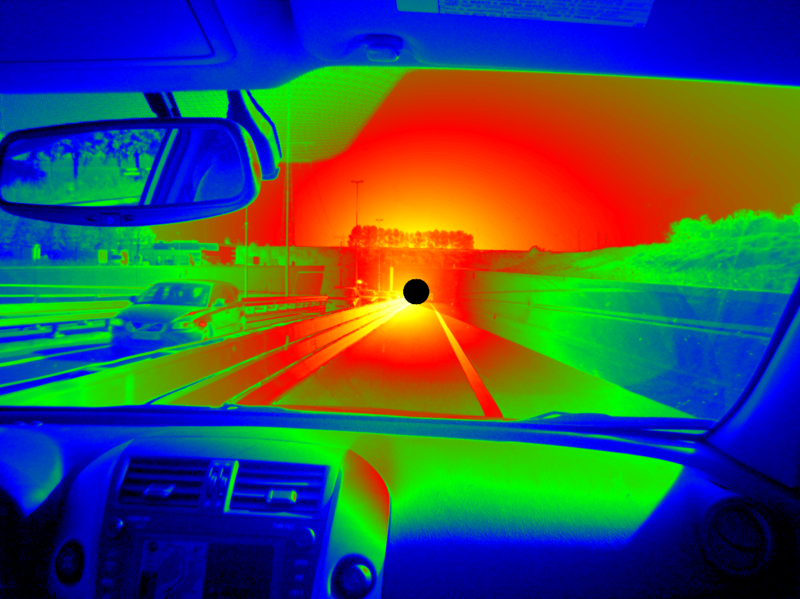 We carry out veil luminance measurements in locations where there are issues of discomfort glare of public lighting or tunnel lighting in the threshold zone by adding new technologies allowing the measurement of veil luminance and even Lseq which corrects the angle of incidence of the glare source for the human eye. The Threshold Increment value is normally only used in lighting software calculations to prevent unwanted discomfort or even disability glare. We are now able to measure the TI Threshold Increment in real situations where glare complaints arise. When you need an external organisation for the commission of the tunnel lighting installation we are your sparring partner and are glad to assist you. We offer measurement services to measure road luminance from a moving car. Thus preventing you the large investment of unnecessary and unwanted road blocks when basic luminance information is required. With our sensitive instruments we are able to measure light pollution starting as low 1 mCd/m2. For most people a really tricky measurement and with our extensive knowledge and assistance we can make the right corrections in generating the right luminance levels in the entrance and threshold zones in tunnels. We are the first who fully correct the angle of L20 sensors by which these sensors are looking at the tunnel entrances. With our approach we correct the 10% to 40% of errors which normally occur with tunnel photometers. We offer you our services and knowledge in situations where you don’t have the possibility to measure basic optical parameters from your light sources. The most common measurement (illuminance grid) in public lighting. If you need a hand or calibrated instrumentation? Please let us know and we will be glad to assist you. You would like to know if your display or sign is performing according to the agreed specifications? Or do you have difficulty measuring the luminance values and shift in colour coordinates. We are here to assist you and generate the date you require.